The Devil Wears Scrubs in paperback is on sale for only $8.99 (discounted from $10.95). Buy it as a gift for yourself or a friend! The other day one of my colleagues told me he had a patient who had a really impressive hamstring reflex that helped diagnose a L5 radiculopathy. It was so impressive that he apparently filmed it. I said that he should write a case study of the first time a hamstring reflex has ever been useful ever. In lieu of a real post, I'm doing my yearly "give me book recommendations" post. We just did The Silent Wife for my book club, and I was not a huge fan. If you want to know my taste, this is my reading list. Patient: I love your hair this morning. You're wearing the same earrings as yesterday, aren't you? They're very pretty. Me: Uh, no. I guess I'm just fat. The annoying thing is, I can't play this off as her being grossly demented if she remembered my earrings. I guess I'm just getting fat, although if we're getting technical about the whole thing, I lost around 10 lbs from this time last year so I guess I must have really been a whale then. Well, that ruined my morning. In residency, we had a patient who has a frontal lobe injury (among other things) and the woman was frequently crying and screaming. She was somewhat controlled on Depakote, but we had to stop it for various reasons. We did a lot of fiddling with her medications with no improvement. Anyway, my attending had me consult psych to find out what they might suggest for a medication for when she got really agitated. The psych attending wrote a note on the patient. This was the gist of it: "May want to consider doing a frontal lobotomy. 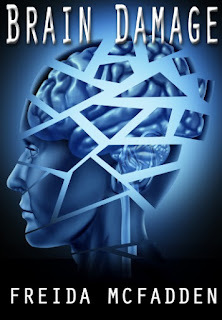 Consult neurosurgery to put her on the schedule." At first, I thought it was a joke or I read it wrong. I showed it to our psychologist and she couldn't stop laughing. We were giggling about what the response of one of our all-important neurosurgeons would be if we actually consulted them for a frontal lobotomy. So the next morning, my attending asked me if psych had any suggestions about the patient. "Oh yes," I said. "They wrote a really helpful note. You should take a look at it." I found the chart for him and waited for him to read the note. His jaw fell open, "I can't believe he wrote this." He shook his head. "He really ought to talk to neurosurgery before he writes a note like this." He looked at me, "Did you ask him about Geodon as a medication for agitation?" "No," I said, "but I didn't ask him about frontal lobotomy either." Why are jars so freaking hard to open? It seems like with the technology we have, this shouldn't still be such a problem. Last summer, I was trying to open a jar of pickles. I couldn't. I brought it to the local pool and asked the lifeguard to open it. He couldn't. We were passing the jar around to everyone at the pool, and I think we finally got it open. It's ridiculous. I mean, what do old, weak people do? 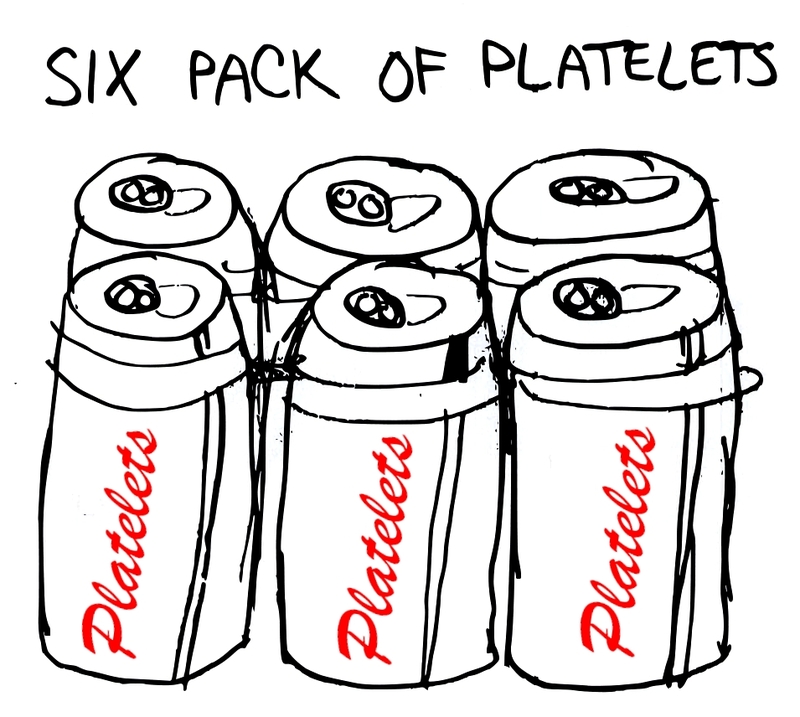 What was the most useless thing you learned in med school? Kreb's Cycle. What a waste of brain cells. All the capitals of Africa. "Bladder ultrasound was done after void in Texas Capital." Me: I presented our case of the lady who had the distal femur fracture that we treated with a retrograde nail. Dr. James: What did everyone say? Me: There was some debate as to whether we should have ordered a CT of the knee. Dr. James: What? That’s the dumbest thing I’ve ever heard in my life! Of course we didn’t! Why would we? Who would say such a thing? I’ll tell you what, anyone who would say that, well, that’s a cry for help. It’s someone who shouldn’t be an orthopedic surgeon. I hope you told them that. Dr. James: Well, you should have. Because that’s f***ing idiotic. That’s the absolute dumbest thing I’ve ever heard in my life. It must be fun to be married to that guy. "She knew how to close her eyes for two minutes. It was a magic trick she had picked up in residency, falling asleep in the corner of the elevator then waking up on the right floor." Interestingly, I've read this type of things before in books... someone saying as a resident, they trained themself to fall asleep instantly. Patchett isn't actually a doctor, and I'm going to go out on a limb to say she's got it wrong. Residency has trained me to be a much lighter, worse sleeper. I can't imagine any other outcome to having a pager by your head at night. My husband wants to know what is the difference between a patient being septic and a septic tank. (i.e. why they use the same word) Sadly, I don’t know the answer. Me: "Who is the President of this country?" For the hundredth time, our President is not a dead terrorist. Geez. P.S. 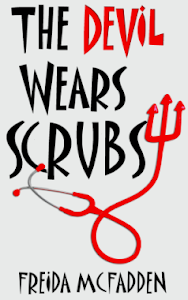 If you missed out on buying The Devil Wears Scrubs for 99 cents, it's still discounted now to $1.99 until midnight tonight. It's this weird Kindle Countdown Deal thing. Patient A.G. is involved in a motor vehicle accident on December 27, 2011. She requires emergency neurosurgery and is admitted to the hospital. On December 28th, 2011, A.G. begins experiencing knee and ankle pain and orthopedic surgery is subsequently consulted for further evaluation. Dr. Orthochick diagnoses the patient with a left tibial plateau fracture and pilon fracture, both of which will require surgery. Orthochick asks the trauma attending, Dr. Sicu, when the patient will be cleared for surgery. Dr. Sicu says to wait until the weekend. Orthochick tells her attending, Dr. Germaphobe the news. Dr. Germaphobe says he is going away over the weekend and to call his partner, Dr. Innocuous to do the surgery. Orthochick calls Dr. Innocuous to see if he's available, he's not. Orthochick reports back to Dr. Germaphobe, who says he will do the surgery the following Thursday. Orthochick tells Dr. Sicu. Dr. Sicu discharges the patient to the rehab part of the hospital. 2 days before the surgery, Orthochick goes over to the rehab part to start getting things in order. The nurse tells her that A.G. has been having more headaches and that the rehab attending, Dr. Physiatry doesn't want her to have surgery. Orthochick speaks to Dr. Physiatry, who says that it's fine with him if it's fine with neurosurgery. Orthochick calls Dr. Brain of neurosurgery, who says it's fine but to not put A.G. on any anticoagulation afterwards. 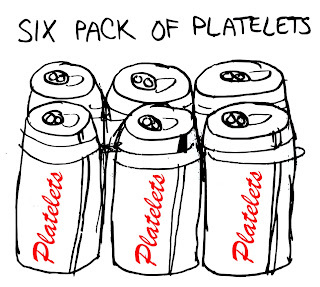 Orthochick realizes that this means that A.G. is at a high risk of developing a blood clot because she won't be able to walk for 6 weeks after the surgery and subsequently consults Dr. Filter of interventional radiology for placement of an IVC filter. While documenting this in the patient's chart, Orthochick sees a note from Dr. Monday of plastic surgery, who was consulted for A.G.'s facial fractures. Orthochick thinks it would be a good idea for A.G. to have both procedures done at the same time and calls Dr. Monday to see when he's available on Thursday. He says he's available after 15:30. Orthochick then calls Dr. Germaphobe's office to see what he has doing on Thursday. She discovers he has Thursday free after 13:00 and schedules A.G.'s surgery for Thursday starting at 13:00 with Dr. Germaphobe and Dr. Monday will scrub in after he's done, which will be around 15:30. Dr. Physiatry calls Orthochick to let her know that A.G. won't be able to come back to the rehab facility until she's off IV pain meds. Orthochick figures this will be a 2-day stay and gives Discharge Planning a heads-up. Orthochick explains all this to the patient, who is in agreement. On Thursday, the day of surgery, Dr. Physiatry discharges A.G. from rehab, and she goes over to the main hospital. She is met by Dr. Filter, who puts an IVC filter in her. She then goes to the pre-op area. She's brought to the OR at 13:00. Dr. Germaphobe finishes around 16:00, Dr. Monday finishes around 17:30. A.G. is brought to her room around 19:00, in stable condition. Orthochick has been in scoliosis clinic all afternoon as scheduled, so Dr. Engineer is the resident in the surgery. Dr. Engineer then goes on vacation, leaving Orthochick to round on his patients, including A.G. A.G. is sent back to rehab on postoperative day 4. I swear, sometimes it's the surgery that's the easy part. P.S. 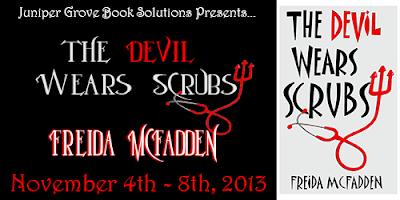 Only a few hours left to get The Devil Wears Scrubs for only 99 cents! It's Dr. Orthochick-approved! For TODAY ONLY (and for 24 hours), The Devil Wears Scrubs will be on sale on the Kindle for only 99 cents. This is a special KDP promotion that will not be repeated! The promotion starts today, Nov 11, at 8AM PST! Sometimes people find (likely via Google) an old post I made and start yelling at me in the comments. They write some long-winded reply, even though nobody is reading the post or the commments anymore. If you do that, it's fine, but recognize that it's all masturbation. I'm probably just going to skim the comment if that, but I definitely won't reply. I'll probably publish it, but if the post is two years old, nobody else is going to read it. -Fill out forms for "home health care"
This morning, my phone woke me up. The number was my dad's, so I answered it. But there was only shuffling and distant voices. I hung up and called him back. He seemed surprised to hear from me. "Did your pants call me again?" I asked him. Every once in a while, my dad's pants call me. He hasn't figured out how to lock his phone, so his pants just call people indiscriminately. Sometimes I'll be with my dad, and we'll hear this faint little "hello? hello?" coming from his pants. Sometimes his pants leave a ten minute message on my voicemail. It always astounds me that people can believe there are so many good reasons not to get a flu shot. I got paged in the afternoon for a patient who was scheduled to be discharged. Nurse: We just need a prescription for oxygen for her. Social work said they could get it filled. Me: Wait, does she normally use oxygen? Who usually prescribes it for her? Nurse: No she doesn't use home oxygen, but she's been on oxygen ever since she got here. The husband is really anxious to take her home, so do you mind coming in to write for it? Me: So she's never been on oxygen before and all of a sudden she can't get off it? Nurse: We tried taking her off and her oxygen saturation dropped into the 70s. Me: Ummm...I'm not comfortable discharging her like that. If she's never had this problem and all of a sudden ,since surgery, she has this problem, I don't think I can discharge her in good conscience. I mean, that needs to be worked up because it's not normal. Me: I'll be there in 15 minutes and I'll talk to him. The husband was a jerk, but I explained that I really didn't want the patient to leave with an oxygen tank since I had no way of regulating that. I mean, then I wouldn't know how much she was using or how often, those things are flammable as hell, and really, I think it's a bad idea to not work that up completely. They both yelled at me, but I said that I was going to ask internal med to look at her and determine why she needed oxygen. If they said everything was great but she needed some oxygen, then fine, I'd gladly write them a script. but if they said something was wrong, we'd have to try and fix it. The husband yelled at me again, but they were both OK with it in the end after I explained that I really didn't want her to go home, have some sort of fall or stroke or something terrible, and have to come back. About 2 hours later the nurse paged me that the patient was being moved to the ICU because she had suddenly developed chest pain, increased shortness of breath, and crazy high cardiac enzymes. I seriously started shaking and it took me a little while to calm down. I'm really glad I didn't send her home. Chief resident: "Hey, can you see a consult for me?" Me: "I've got EMGs all day today." Chief: "I thought you didn't have EMGs on Monday mornings?" Chief: "So why do you have EMGs this morning?" Me: "Today is actually Tuesday." Chief: "Oh, yeah. It is." Me: "Fine, I think I can do it." I finally sat down for lunch and I got a page from the chief: "Hey, you know that consult I gave you this morning? You don't have to see him." Me: "You mean the consult that I already SAW and already STAFFED??" If you ask to repost my cartoon and I give you permission with the caveat that you provide a link back to my website, please for the love of god, make it a hyperlink. 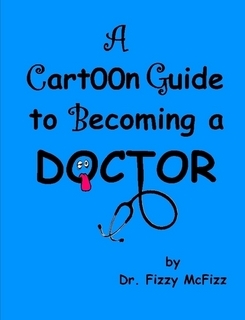 If you say the cartoon comes from doccartoon.blogspot.com, that does absolutely nothing to help my traffic. Nobody is going to cut and paste that. I wouldn't do it to you, please don't do it to me. 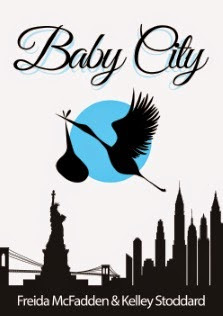 I'm going on a book tour! Next week, I'm going on a book tour, courtesy of Juniper Grove. Luckily, I don't have to actually go anywhere. Good thing, because I'm still exhausted from trick or treating. Seriously, how do people have small children in their forties?